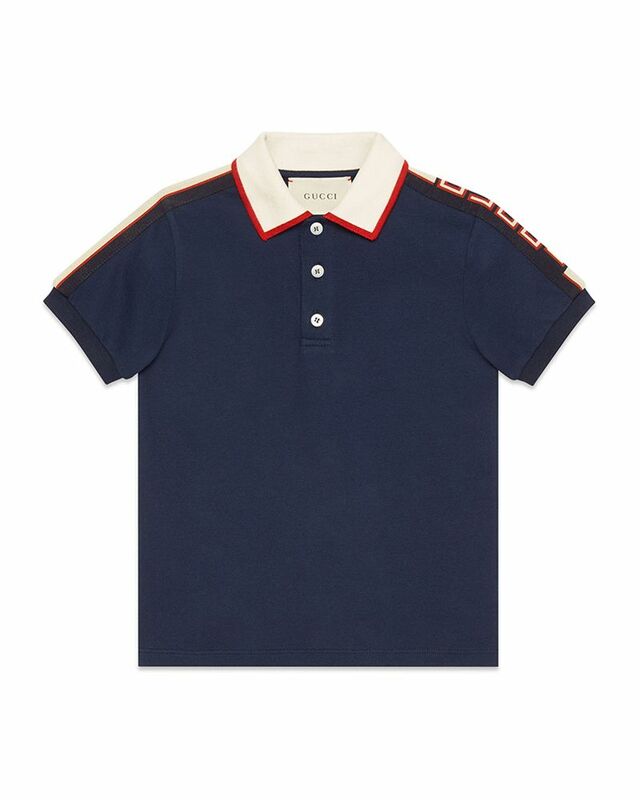 Gucci soft cotton navy short sleeve polo with contrast collar and branded detailing on the sleeve. 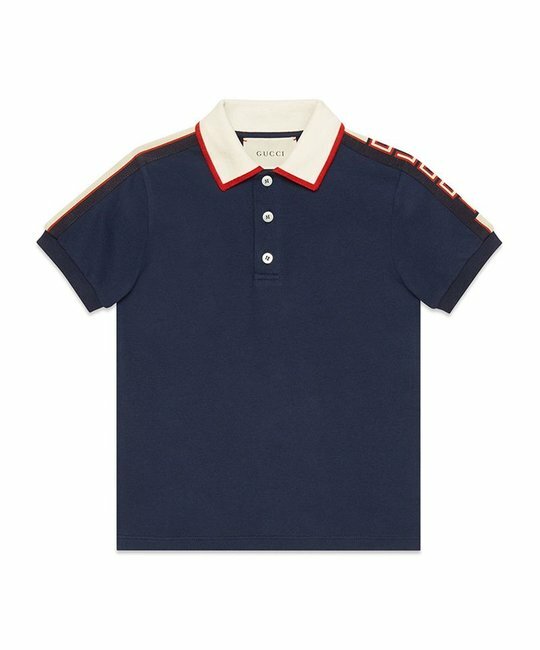 96% Cotton, 4% Elastan. Made in Italy.